Should We Read The Linwood Barclay Books In Order? Linwood Barclay is a Canadian-American author who has written several thriller novels and a few non-fiction books as well. Here are all the Linwood Barclay books in publication order for his Zack Walker, No Time for Goodbye, and Promise Falls series, along with his standalone novels. I’ve read most of the Linwood Barclay books, and what I’m glad about is that I’ve read No Time For Goodbye before I’ve read Never Saw It Coming. The psychic, Keisha, who is the main character in Never Saw It Coming is actually introduced (in a secondary role at the time) in No Time For Goodbye. In No Time For Goodbye, Linwood Barclay sets the stage for his same-named series, while Never Saw It Coming is a standalone novel. So in this case, reading all the Linwood Barclay books in proper chronological order makes the best sense. In addition Cynthia and Terry Archer, the main characters in the book No Time For Goodbye are also mentioned in Never Saw It Coming. Also Private Investigator Cal Weaver, who is a main character in Far From True, the second book in the Promise Falls trilogy, also appears in A Tap on the Window, which is a standalone novel, and in Parting Shot, Too Close to Home and Never Look Away, other standalone thrillers set in Promise Falls. Based on the author’s comment, Parting Shot seems to be really the last book set in the fictional town of Promise Falls, New York. Linwood Barclay was born in 1955 in Darien, Connecticut, USA. When Linwood was 4, his father, at the time a commercial artist, accepted a position in advertising which put the family across the border to Canada, which is where he grew up. His father died when Linwood was 16 years old, and soon after he started helping run a cottage resort and trailer park. He earned a B.A. (Honors) in English at the Trent University, in Peterborough, Ontario. His first serious job as a journalist was with a small Ontario daily called the Peterborough Examiner in 1977 where he worked for two years before he went to a small Oakville paper in 1979. Linwood Barclay remained there until 1981 when he got hired by the Toronto Star, one of the biggest newspapers in Canada, basically being Canada’s largest circulation newspaper to work in various positions that included being an assistant city editor, Life section editor, news editor, chief copy editor and finally in 1993 got to write and maintain the newspaper’s Humour column. During these years the author Linwood Barclay wrote his first few books including Father Knows Zilch, This House is Nuts!, and Mike Harris Made me Eat my Dog, as well as an autobiography called The Last Resort, published in 2000 about growing up in cottage country. He retired from the Toronto Star in 2008 to focus exclusively on writing crime mystery and thriller novels. Before leaving the newspaper, he worked in the trade as a columnist and journalist for three decades. The first book I’ve read by this author was No Time For Goodbye, published in 2007. 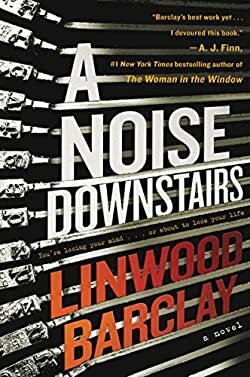 At the time it was a standalone novel; however, I was happy to learn that in 2014 Linwood Barclay also wrote a second, follow-up book with the title No Safe House. In 2016, the author wrote a screenplay for his book Never Saw It Coming, for a Canadian director, Gail Harvey to turn it into an upcoming TV series. At the same time, Linwood Barclay’s book The Accident was being turned into a 6-part TV show in France with the title L’Accident made by Acorn TV. The TV show premieres December 18 and focuses on Gabriel Cauvy who has to deal with the death of his wife following a suspicious car crash. Trust Your Eyes has been also optioned for film by Warner Bros. The author’s latest thriller series is called Promise Falls, which started with Broken Promise, first published in 2015. The last book in the series is The Twenty Three, published in November 2016. Among Linwood Barclay books, the latest novel is Parting Shot, a standalone novel published in 2017. The book, while is standalone, is also set in Promise Falls, which is the small-town location of this popular series. Here, Carl Weaver is asked for help to protect Jeremy Pilford who has been convicted of killing a friend while driving under the influence of alcohol. Pilford is on probation at home, having not gone to prison. This creates a major online media reaction where threats even become physical and serious. While Weaver is not overly happy about this latest case, he does take it. Then there is a seemingly unrelated case the author loops into the book which eventually will intersect with Weaver’s main case in a suspenseful climax. Trial by social media is a relatively new phenomenon, one which authors are starting to embrace in their writings since social media with Twitter, Facebook and online blogging are so prevalent in our modern lives. Also in 2017, Linwood Barclay started a new thriller series, titled Chase, this time catering to kids and young adults. In an interview, he mentioned that the idea for Chase came to him one night out of the blue, and he knew that this book had to be written having a younger readership in mind. 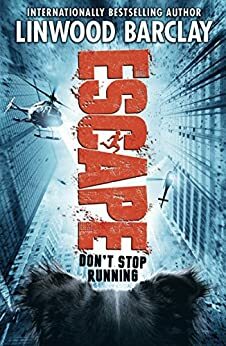 The second book of the Chase series was published in 2018 with the title Escape. Linwood Barclay’s books have been so far translated into more than 40 languages and sold in over 30 countries. In 2009 the author has received the Arthur Ellis Award for Best Novel for Too Close to Home and No Time for Goodbye was nominated for the Arthur Ellis Award, the Barry Award, short-listed as best novel by the International Thriller Writers. Also, his Stone Rain book was a nominee for the 2008 Shamus Award in the Paperback Original P.I. Novel category. This says to me that Final Assignment comes first? Just finished “the twenty three”…is there going to be another promise falls novel? Zack walker series: what are titles for # 4,5,6? Can we look forward to this hilarious character again? Linwood Barclay is the only author that I have read ALL his books and cannot wait for the next one coming out. He lives in Ontario Canada and used to write column for the Toronto Star newspaper. While it was funny, the column does not do justice for his talent. When I saw the ad for his fiction novel on the Star, I discounted that thinking how someone writes such a so so column can write any good novel. Then one time while vacationing in Mexico, I had time to kill and saw his book “the accident”. I picked it up and boy oh boy, I could not put it down. From then on, since April till the end of the year, I read ALL his other books! Now I have to wait till July 2015 for the newest one “broken promise”. You should give him a try! What a wonderful ode to Linwood Barclay, thank you so much for your comment! I’m also looking for A Broken Promise – just a few short months to go!